Copyright © VASCO DA GAMA OFFICES. All Rights Reserved. 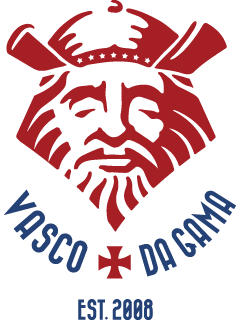 VASCO DA GAMA is a Portuguese voyager who flourished from the end of 15th century to the beginning of 16th. In July 1497, GAMA set off Lisbon with 4 ships to find out the Eastern King of Christian and get spices in India, by order of the Portuguese King Manuel I. The first ship GAMA was on board was named “Sao Gabriel”, and whose weight was about only 100 tons. In November of the same year, GAMA came over South Africa’s Cape of Good Hope, and reached Calicut in south-western India in May 1498. They say GAMA is the first European person who discovered the route to India by this voyage.